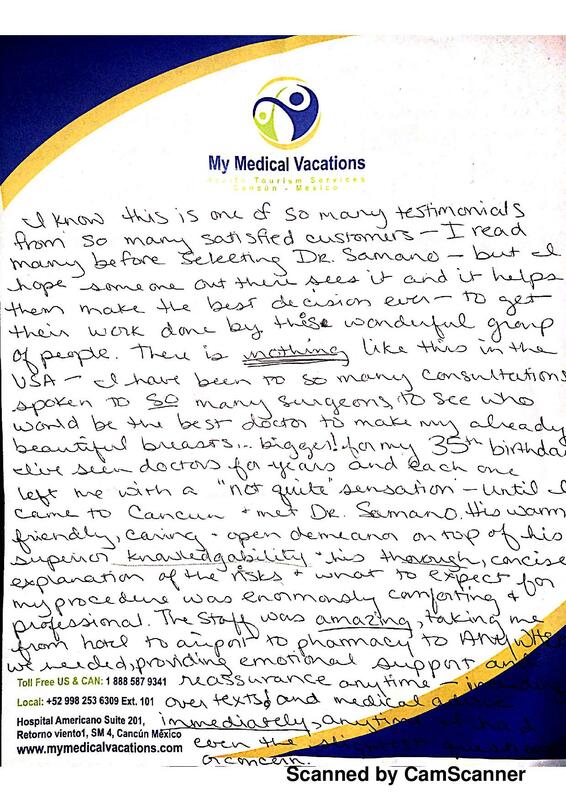 I know this is one of so many testimonials from so many satisfied customers – I read many before selecting DR. Sámano. But I hope someone out there sees it and it helps them make the best decisions ever. To get their work done by this wonderful group of people. There is nothing like this in the USA. I have been to so many consultations, spoken to so many surgeons, to see who world be the best doctor to make my already beautiful breast… bigger! For my 35th birthday. 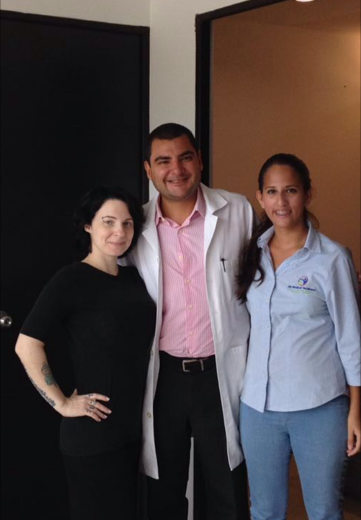 I’ve seen doctors for years and each one left me with a “not quite sensation – until I came to Cancun and met Dr. Sámano. 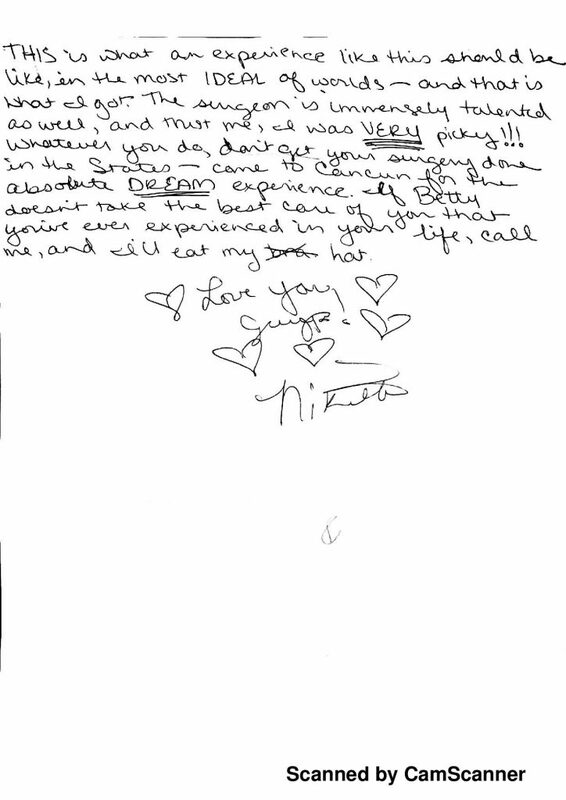 His warm, friendly caring open demeanor on top of his superior knowledgeability + his thorough concise explanation of the risks, what to expect for my procedure was enormously comforting and professional. The staff was amazing, taking me from hotel to airport to pharmacy to ANYWHERE we needed to go, providing emotional support and reassurance anytime, including over texts! And medical advice immediately, anytime I had ever the slightest question or concern. This is what an experience like this should be like in the most IDEAL of worlds and that is what got. The surgeons is immensely talented as well and trust me, I was VERY Picky!!! Whatever you do, don’t get your surgery done in the States – come to Cancun for the absolute DREAM experience and if Betty doesn’t take the best care of you that you´ve ever experienced in your life, call me and I eat my (bra) hat .